Please enter the giveaway through the Giveaway Tool listed below. Giveaway Tools will randomly select a winner. Winning entry will be verified. Winner has 48 hours to claim the prize before another winner is selected. All entries are optional, and the chance of winning depends on the number of entries. No purchase necessary, void where prohibited. 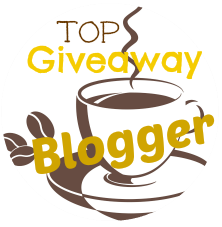 By entering this giveaway you are agreeing to have your name listed as the winner on the giveaway widget and winner's list of participating blogs. In the case of any malfunction of the Giveaway Tool the giveaway will be cancelled and no prize awarded. Disclaimer: None of the bloggers participating in this giveaway are responsible for prize fulfillment. USA Equipment Supplier is the sponsor and will be awarding the prize to the winner. None of the social media platforms are affiliated with this giveaway. Any questions or if you would like to sponsor a review and/or giveaway email imho@imhoviewsreviewsandgiveaways.com. I have not been surfing, but my son has, (he's 10) So this would be a gift for the whole family. I want to. And we have a huge pool! Thanks for the opportunity!